For Hop Industries, humble beginnings started on Fifth Avenue with just six employees and under $1 million in annual sales. Four decades later, and a jump across the bridge to NJ, the company is celebrating a milestone. The key to its success? 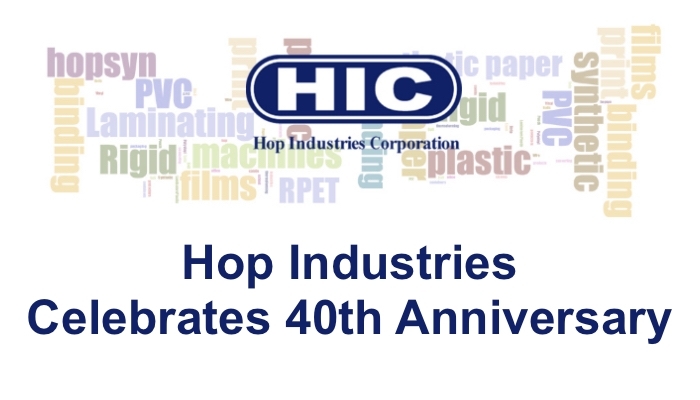 Hop credits an experienced staff of over 50 employees, quality products, and a solid business plan. This year, the company is expecting to top $50 million in sales as it firmly establishes itself as a market leader in plastics and sheeting. Read our press release on Graphic Display World to track our accomplishments through the years. Want to learn more about us? Give us a call at 1-800-524-0757 or send us a message on LinkedIn. We’d love to hear from you.